There will be no Interbike for 2019, an official press release gave us word. Oh what did they say it was? “research[ing] alternative plans” Maybe they plan on leaving the industry. Speaking of that, in the same press release they also announced that several key-staff are “leaving the company” as a direct result of this announcement. And the long-time CEO left, like a month prior… so… what does that tell you? Just in 2018 Interbike moved to Reno from its long home of Las Vegas, the show got significantly smaller, significantly. But it wasn’t really Reno that did them in for the hiatus. For years Interbike was getting smaller and smaller. And we all saw it, there was less people coming every single year. That makes the appeal for the vendors (rather the exhibitors) less appealing. The big dogs stopped coming a long time ago making the show less of a grand spectacle and, other companies just started following suit. I guess. eBikes have been up, and up and up each year. Take a look at google trends. Take a look at the news. You can even ask William Shatner. I was talking the the chairman of the Bosch dealer advisory board. He said that a bunch of dealers for electric bikes got together, and the biggest complaint that they had was supply! They could not get electric bikes fast enough to get out the front door. Aside from the internal blunders made by the interbike company, and aside from the fact that the trade show industry isn’t really growing the way that it used to, and aside from the fact that competitor shows are starting to bare their teeth, I suspect that a good factor for the fall of Interbike is that traditional bikes stores that have been fueling the entire show really didn’t embrace eBikes fast enough. And they suffered greatly. The lower total sales across the board didn’t help the suppliers at all (the exhibitors for the trade show), and as a result the trade show suffered. The small but still vibrant eBike specialty market really isn’t enough to prop up the entire show… quite yet! Honestly, I love a lot of things about interbike! It’s a great chance to get together as an industry to help support one another. Meet people face to face and get a personal connection in a world that’s increasingly impersonal and lacking in genuine human affection. However, the drudgery of frat-house mentality and the teeming elitism makes for a really terrible undercurrent for an otherwise positive event. 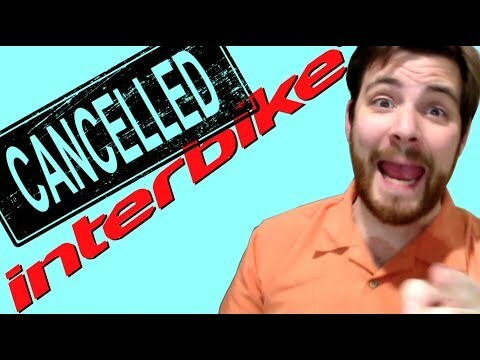 Thanks for watching eBike News! I’m Mikey for Blue Monkey Bicycles, and I’ll see you on the later!